Maintaining a successful website is not an easy job but to generate money from website that has decent traffic is not that difficult. There are many different ways to make money from your website or to monetize your website to generate a constant and decent income. There are several money making methods exists today and each of these methods has its own advantages and disadvantages. The basic requirement to make money is to have a quality website or a web property with decent traffic. The more popular your website is the more potential money generating machine it becomes. If you have a blog that specializes a particular niche and if you are an expert in that area then you can sell your expertise and earn money online. For example if you are a WordPress expert you can make money by providing expert services or by selling premium themes. Popular blogs and websites have social communities around the blog. They use these social networks as a powerful money generator by utilizing their popularity. The common methodology adopted by website owners and bloggers are by using direct methods like PPC advertising networks, CPM advertising networks, Text Link ads etc. But there are other ways to make money also. Let us list down top 10 such methods. If you know a method that is not listed below, please suggest them and we will update this post including them. 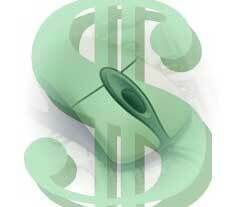 Needless to say, Pay per click (PPC) Advertising is the most widely used way to make money online. Contextual advertisements like Google Adsense, Chitika and BidVertiser comes under this category. You need to join the network to start with. The code snippets provided by the network needs to be included in your code. The income from PPC advertisements depends on the traffic volume of the website. It also depends on the traffic source. The major PPC Advertising Providers are Google AdWords, Yahoo! Search Marketing, and Microsoft adCenter. CPM (Cost Per Mille) or CPT (Cost Per Thousand Impressions) is when advertisers pay for impressions of their message to a specific audience. CPM ads are where you place an advertisement on your blog or website and you get paid for 1000 impressions. Please remember that different CMP provider pays different amount for thousand impressions and the earning depends on many factors such as traffic quality, traffic source, location etc. Affiliate Marketing is another way to make money online. The methods CPA (Cost per Action) and CPL (Cost per Lead) comes under Affiliate Marketing. There are many affiliate market places where you can join and start serving ads. You as a publisher sell their products and services in exchange for a commission. In-text Adverting will place sponsored links inside your text. Best examples are Amobee and Vibrant Media. The drawback of this method is that you don’t have a control on where the link advertisement will appear inside your content. You can sell ad spaces (like 728×90 leader board, 120×600 skyscraper, 300×250 rectangle and 125×125 sidebar buttons etc) directly to potential buyers. There are no commission to be paid to anyone. Direct selling works only for blogs and websites with decent quality traffic. There are even services that help you to get advertisers. BuySellAds is one such service. If you have a website that has decent traffic then you can offer paid surveys and paid polls on your website. You can offer these services directly on your website or you can make use of services that offers commission for running surveys on your website. Now even RSS feed can be used as a medium to advertise. Feedburber allows using adsense ads part of your feed. You can also sell ads directly over feeds. If you are providing free programs or expert advice through your website then you can place a “Donate” button on the website. This will helps you to earn money from them who got benefitted from your website. You can compile e-books based on your expertise and sell them on your website. Writing e-books is not a difficult thing if you have enough idea about a topic. You can also distribute them free to readers and ask them for donations.